US consumers are getting their fill of the Samsung Galaxy Tab 10.1 as we speak, but as we’ve reported earlier in the month, the European launch of the Honeycomb flavored tablet has been pushed back to August due to alleged Android 3.1 issues. Even though it’s still unclear if Android 3.1 is indeed causing a ruckus with the tablet, it’s now confirmed that the Samsung Galaxy Tab 10.1 will be launching on August 4 in the UK. Seeing that we’re just winding down with June and still have the entire month of July ahead of us, that August 4th release date undoubtedly appears to be lengthy – still, both the 3G and Wi-Fi models of the tablet will be available then. However, pricing has yet to be revealed, but we’ll surely know more as the time gets closer. 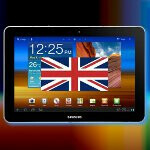 Conversely, if you’re a UK consumer eying the Samsung Galaxy Tab 8.9, it’s still on pace to launch some time later in the year – albeit, no release date is attached to it, but it’s rumored to come in September. With the wait, are you still going to be interested in either tablets after hearing about some other affordable Honeycomb options? IM GETTING IMPATIENT!!!! WHEN IS IT COMING TO AT&T! !